The Department of Health (Northern Ireland) has launched two new Small Business Research Initiative (SBRI) competitions to stimulate the development of innovative technology solutions to optimise patient health and social care outcomes through staff deployment and improved medication management. Belfast Health and Social Caree Trust licensee HiberGene Diagnostics Ltd has raised €2m. The company will use this round of funding to support the commercialisation of its first two rapid molecular tests for Meningococcal Meningitis and Group B Streptococcus, which were developed at the Royal Victoria Hospital in Belfast and which it has licenced from Belfast HSC Trust. The Biomedical Catalyst scheme, a joint programme of the Technology Strategy Board and Medical Research Council, continues to seek applications from either SMEs or researchers. Round 4 is now open. Invest Northern Ireland has confirmed new deadlines for applications to its Proof of Concept programme. Invest Northern Ireland’s Proof of Concept programme is now open for applications. The programme aims to help researchers export their ideas and inventions from the laboratory to the global marketplace. HSC trusts are eligible. Up to £106,000 is available. The Wellcome Trust and the Engineering and Physical Sciences Research Council have announced the Innovative Engineering for Health partnership, a joint £30 million initiative to find biomedical engineering solutions to challenging healthcare problems. Northern Ireland is to contribute funds to the National Institute for Health Research so that Northern Ireland researchers may compete in a number of NIHR programmes: Health Technology Assessment, Health Services and Delivery Research Programme, Public Health Research Programme, Efficacy and Mechanism Evaluation Programme. 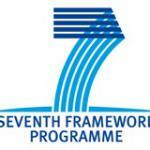 On 9th July the European Commission announced the final calls in the health theme of Seventh Framework Programme (FP7). Over €800 is available in this round. As usual proposals should be by international consortia. The following topics are included.